I’ve had a number of people email me who own Mac computers, and who own Microsoft Word 2011 for the Mac. They would like to use the formatting information in Book Formatting for Self-Publishers, but have found that the instructions for finding commands and dialogue boxes in Microsoft Word 2010 for the PC are different on the Mac. Unfortunately, I do not have a Mac, however, I did research the internet, trying to find the corresponding Word 2011 commands for the Mac. 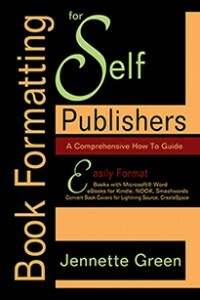 I hope the following information will be of help to Mac users as they follow the instructions in Book Formatting for Self-Publishers to format their books. This will provice access to setting first line indents, justifying text, eliminating widows and orphans, etc. It corresponds to”Set Up Body Text Format Style” in the book. Hope this helps. If you discover more information or links that would be of help to fellow Mac users, please add a comment to this blog post, or send an email to Diamond Press via the Contact page, above. The information will then be added to this page. It would be so much appreciated! Thank you! This entry was posted in Book Formatting and tagged format books, Microsoft Word 2011 for Mac. Bookmark the permalink.